Is Cellphone Insurance A Wise Choice? When you sign a two-year cell phone contract the cost of the phone is heavily subsidised. The more expensive the contract, the higher the subsidy. As a result, people often do not appreciate the true value of their phone until something happens and they need to replace it. A top of the range phone will cost close to R20 000 to replace and the average phone is around R 10 000. Sure, there are less expensive phones available but that means you are going to have to wait out the remainder of your contract with an inferior phone should something happen to the handset. Given how reliant we are on our phones these days for work and leisure, sacrificing the quality and features of the latest phone is not a pleasant experience. Sadly, the incidence of cell phone theft is very high in South Africa. Phones get stolen in the blink of an eye. They are easily sold on the black market and make very attractive targets so they are definitely something criminals focus on. There are other risks as well. The phone could become irreparably damaged due to dropping or liquid damage. It has become extremely difficult even impossible to be without a cellphone in modern society. We rely and depend on them for so many tasks that not having one will be extremely difficult. Cellphone insurance is a good idea. The risk is too great to not look at it seriously. There are a few ways to get insurance on your phone. The first way is to take insurance cover from the network that supplies you the phone. If you are on a contract, they will add the monthly premium to your cell phone account. This is a convenient way to get cover but tends to be quite expensive. A more cost-effective way is to specify your cell phone on your householder's policy if you have one. As you have your household contents and often a car or two with one company, they will normally give you cover on your phone at a better rate than the network. 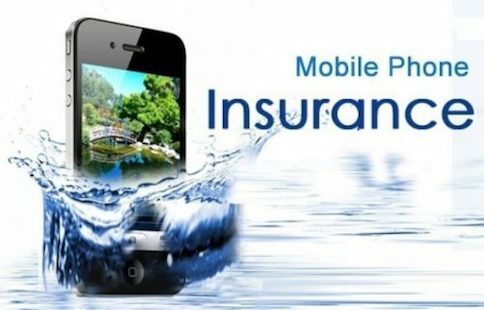 You can also take out a standalone insurance product for your cell phone from a number of insurance companies. There are a few things to understand about the cover. Normally there is an excess. This is the first amount payable by you in the event of a claim. This could rise steeply if you claim more than once. Some also charge an additional excess for liquid damage. Another point is most policies will not cover you if there was negligence involved. If you leave the phone in a restaurant or on the roof of your car, many policies will not pay out.